Erin Craig is a writer and chronic foreigner. She can usually be found in Asia – scuba diving in Thailand, riding the rails across Vietnam, and studying throat singing in Mongolia. 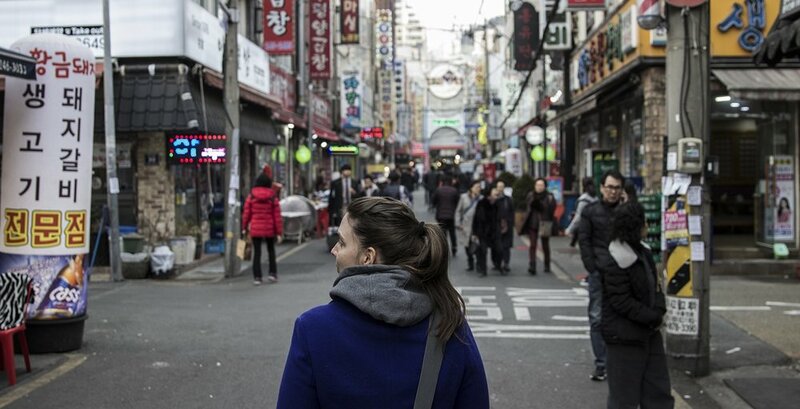 Her latest adventure involves a ticket to South Korea, where she hopes to solve the mystery behind the nation’s bizarrely sublime fried chicken (a project currently deep in the research stage). Erin has written for such international publications as National Geographic Traveler, the BBC, Ms. Magazine, Morning Calm, and The South China Morning Post. Erin also featured in a BBC Travel video about travel and fear, in which she overcame a history of panic disorder to learn to scuba dive. To read more about the experience, check out her blog post on traveling with anxiety.